Is it Safe and advisable to travel to Myanmar? The negative impression created by the humanitarian crisis in northern Rakhine State has led to a decline in the number of European visitors to the country. Things have settled down somehow but the situation in that state remains precarious. However, Myanmar remains a safe and open destination as long as you avoid the problem areas near the border with Bangladesh. You are very unlikely to encounter any trouble and you will find the locals both warm and hospitable. The best time to visit Myanmaris between November and February as it is mostly dry and the temperatures are relatively cool. This is the peak season. March and April sees temperatures rise especially in Yangon. The hot weather coincides with the monsoon season, which lasts from May to August. Many beach resorts close down during that period. The intensity of the rain abates in September and October but central and southern areas remain soggy. Overland border crossings are not an option for independent travellers, so most visitors fly into Yangon international airport. There are also international airports in Mandalay and in the capital Nay Pyi Taw, but only a few airlines use them. Myanmar Airways Internationalserves a limited number of destinations in Asia. 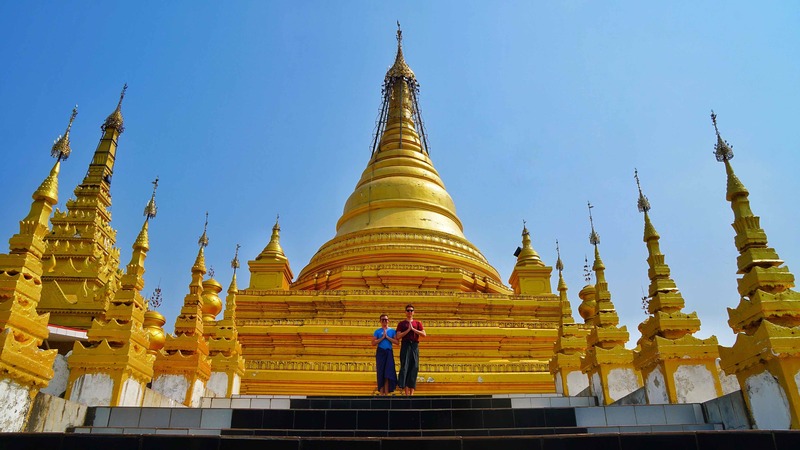 From the UK and continental Europe, the easiest and cheapest way to reach Myanmar is to fly to a regional hub such as Bangkok or Singapore and take a short connecting flight to Yangon. The former capital of Myanmar is by far thelargest city and the country’seconomic powerhouse. The city boastsmagnificent temples and pagodas suchasShwedagonand Chauk Htat Gyi, famous for its 65 meter longreclining Buddha. Take time to explore the city and let its atmosphere, scents and vivid colours beguile you while you walk through its bustling streets and markets. One of the busiest areas is Chinatown, popular with locals and tourists alike for its great street food and night life, especially on 19thstreet. For a change of pace, walk through Kandawgyi Garden Park, a beautiful haven of calm. Take a domestic flight to Bagan, a mystical and astonishingly beguiling land of pagodas, stretching as far as the eyes can see. It is as impressive as Angkor Wat but without the crowds. No visit to Myanmar should be completed without spending at least a couple of days there, exploring it on foot or by bike. Visit the impressive and vast Anandatemple dating back to 1105AD and the beautiful circular Shwesandaw Pagoda, ride a hot air balloon, tour the local markets and climb the extraordinary Mount Popapeak. 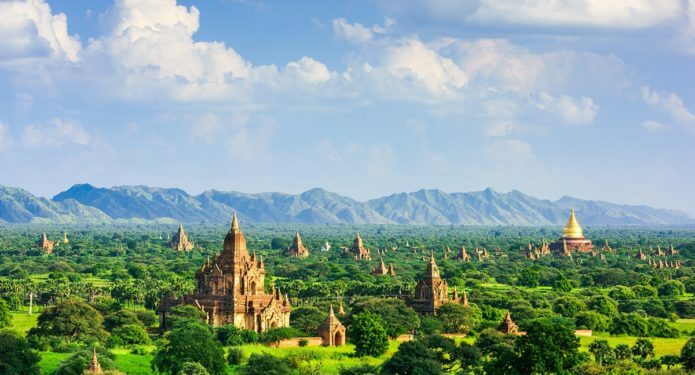 Located ¾ hours north east of Bagan, Mandalay has been immortalised by Rudyard Kipling’s poem. Founded in 857 by king Midon, the beautiful colonial city was almost entirely destroyed during WWII. Today, Mandalay is a bustling noisy city of over 1 million inhabitants. However a walk up the hill reveals a large number of stunning gardens, stupas and pagodas. 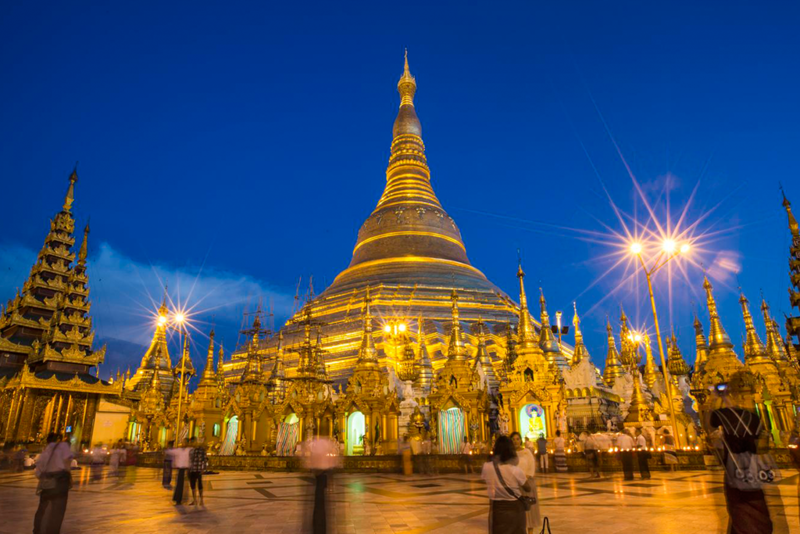 Some of the most impressive and memorable sites include the sprawling Golden Palace monasteryand the Kuthodaw pagoda. End your stay by watching the beautiful sunset seen from Mandalay Hill. 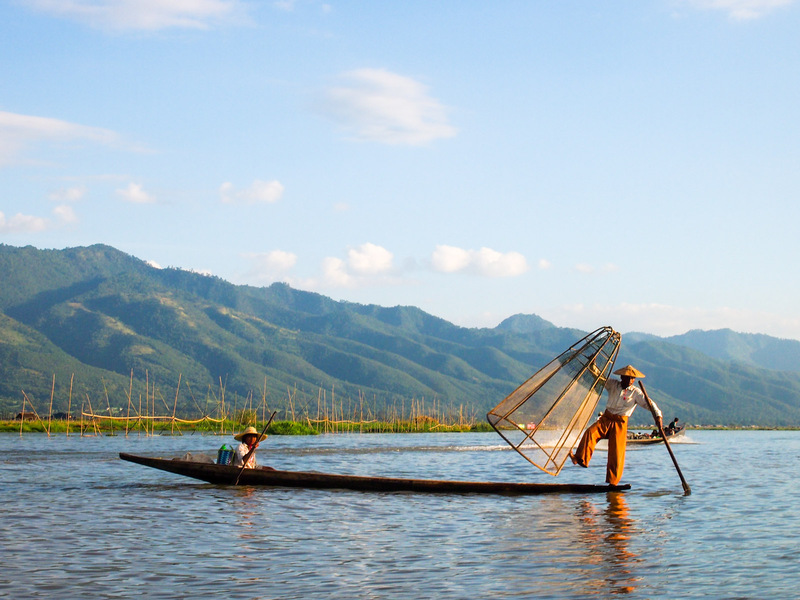 Drive or fly from Mandalay to Heho to reach Myanmar’s second largest fresh water lake. Inle Lakeis densely populated by the local intha people; Explore the Phaung Daw Oo Pagoda, the Nga Phe Chaung “jumping cat”monastery and the Indein villagewith its hundreds of stupas; Take a boat ride and see the traditional fisher men, colourful floating villages and gardens; Visit the weaving village of Inn Paw and learn about the ancient crafts of lotus weaving and Shan papermaking practiced by long neck women.